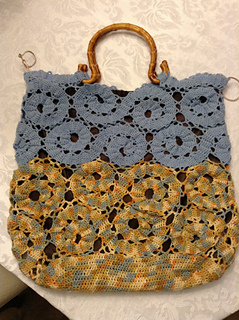 For this vibrant beach bag, Chachula chose the Bruges crochet technique, which begins at the center of each motif and works outwards in a spiral. 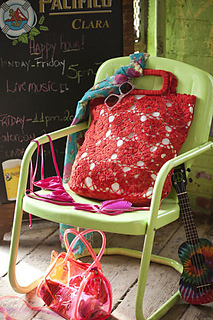 Worked in Lorna’s Laces’ “Shepherd Sock,” the carryall has a solid bottom and is lined with fabric for added structure. 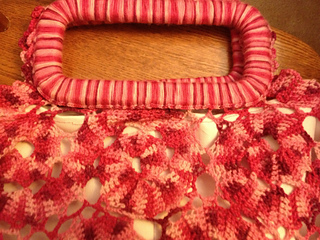 Yarn-covered handles are attached in finishing.